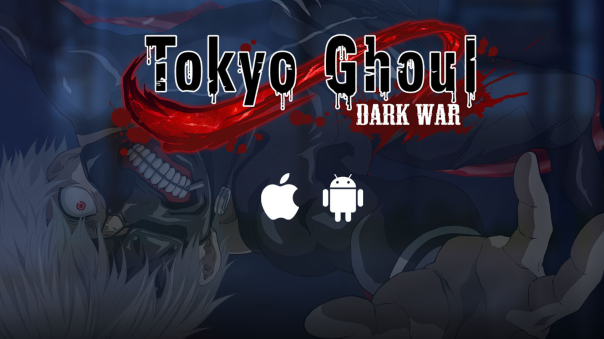 “Tokyo Ghoul: Dark War” is an officially licensed game based on the smash hit anime series inspired by Sui Ishida's dark fantasy manga. The game takes place in the sinister version of Tokyo portrayed in the anime series, and allows the player to form a team composed of ghouls, or the Commission of Counter Ghoul (CCG) investigators sworn to eliminate them, as they battle their way through many story and boss stages. Multiplayer and competitive modes will also be available, with more details revealed later. The android and iOS app is available via download on Google Play and the iTunes App Store. To learn more about the game, fans can visit the official site or the official Facebook page. GameSamba is a publisher and developer of free-to-play and mobile games, with studios in Seattle, Hong Kong, and Tokyo. The company’s mission is to bring high quality titles to a global audience. GameSamba currently publishes Star Trek: Alien Domain, Tokyo Ghoul: Dark War, 18: Dream World, Fairy Tail: Hero’s Journey and has upcoming titles including two mobile games based on Fairy Tail and Attack on Titan. For more information, visit www.gamesamba.com .